Wine Export Spain SL exports wines to countries all over the world. Our company offers a professional service. We pride our self with value for the money and select each wine very carefully. We have a good relationship with each winery and focus on bringing you extraordinary wines not found in the common tradeshows. We started to export wines in 2005 to the east European countries, such as Czech Republic, Slovak Republic and more. In the past 7 years, the company has expanded and the exporting activities have built up a network of dedicated distributors in and outside of Europe. We enjoy the taste of a fabulous wine and hope to share it with you. For clients that wish to have their own label quality wines, we have a team that can assist in all areas, including sourcing, blending to suit the target market tastes, price negotiation, bottling and label design. 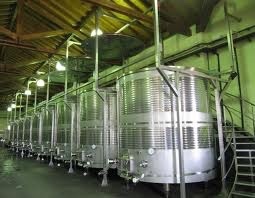 Our company have a large portfolio of wineries that supply the bulk wine market. Some of the bulk wine as generic white wines from 10-13% alc and generic red wines 11%-15% alc., varietal wines (Whites: as Chardonnay, Macabeo, Airen, Sauvignon blanc, Moscatel, etc and Reds: Cabernet sauvignon, Tempranillo, Merlot, Syrah, Grenache, Trepat, Monastrell and more.) Our team arrange the logistic to your country. We transport our wines in flexi tanks by ship or on the trucks by road.